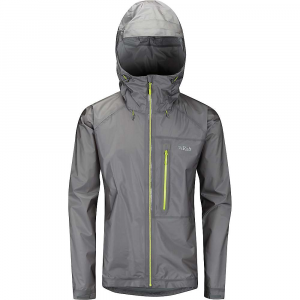 The Focus LT Hoody with eVent's new DVL laminate is a very lightweight, waterproof, air permeable outer shell that is designed for fast and light activites in wet weather. This shell is highly suited for, but not limited to, backpacking, trail running, biking, climbing, hiking cross country skiing and travel. 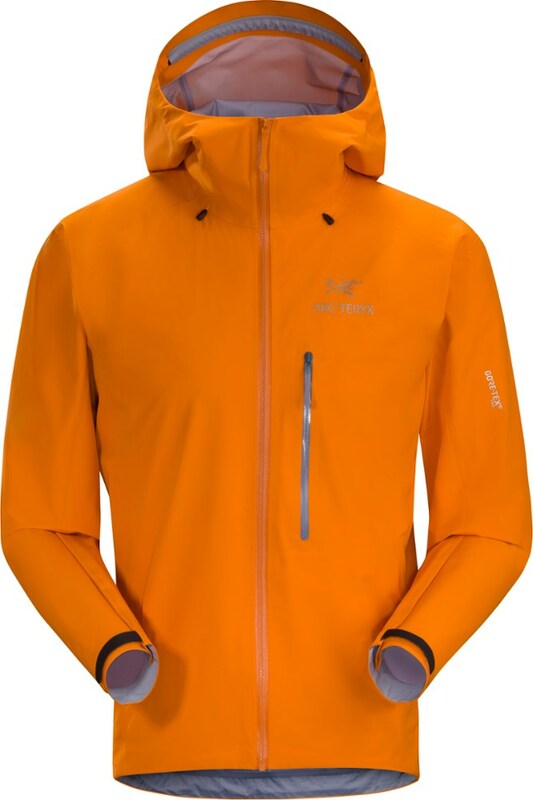 I received the Westcomb Focus LT Hoody (referred to as the Focus for the rest of the review) as a test item through the Trailspace Review Corps in the early part of January 2013. The Focus is made in Canada. The Focus is set to be released by Westcomb for retail purchase this spring, last I heard. I have been wearing the Focus nearly every day since receiving it. It has encountered various weather conditions from rain to ice pellets and temperature swings from the 20s F to the 60s F. Humidity ranged anywhere from 15% to 80% on certain days. I've taken the jacket from nearly sea level, where I live, to elevations of up to 10,000 feet in the mountains of New Mexico. The Focus has performed admirably in all conditions I subjected it to. Along with receiving the Focus, I received a letter from Westcomb Outerwear's president and designer, Alan Yiu, and a GE Energy tech sheet which delves into what the new eVent DVL (direct venting lite technology) is, the eVent fabrics timeline, and the air permeability of the membrane. 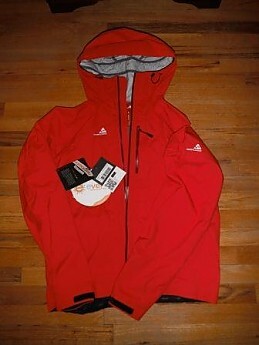 The Focus is a shell jacket, meaning, it has no insulation. 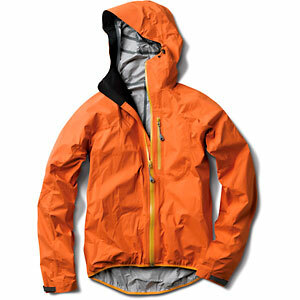 It is meant as a top layer (the hardshell) in your layering system. The primary purpose of the Focus is to keep you dry. It uses eVent DVL which incorporates a fabric face, the membrane, and a protective print (which you will see in photos later). Other types of waterproof technologies you may be familiar with use a 3-layer, 2.5-layer, or 2-layer approach. The eVent DVL is designed more towards garments used for light duty and highly aerobic activities such as hiking, backpacking, cross country skiing, snowshoeing, trail running, etc. The eVent DVL construction method results in a more packable option than other waterproof technologies. According to the tech sheet, in terms of its waterproofness, the fabric will resist a 30k milliliter water column over repeated wettings, ie, extended storms or multiple downpours. It's air permeability is the ability of vapor to move through the material. When compared to an eVent 3-layer fabric, the DVL's Moisture Vapor Transfer Rate is 21k vs. 3 layer which has an MVTR of 16k to 18k. The Focus I received is sized large and the color is Flame. I'm 6 feet tall, 195 lbs, and have fairly long arms. I need a sleeve length of 34/35 in my dress shirts or they will be too short. The Focus fits great! Westcomb classifies this jacket as having a full cut. When I wore one of my puffy jackets under the Focus, a short section of the insulating jacket's front bottom, protruded from under the front of the Focus. I attribute that to the longer profile of the puffy jacket I had chosen and it's not the fault of the Focus. The Focus is not a thigh length shell. It is hip length, designed to limit interference with one's mobility. I didn't feel constricted by the jacket despite having an X-large sized puffy underneath. The Focus's cut allows for an insulating layer. The sleeves extended easily to the mid portion of the back of my hands and when I raised my arms outward to shoulder level, the sleeve length didn't change, nor did the Focus ride up on my waist. Let's talk about the hood briefly. I have another shell which has a hood designed to accommodate climbing helmets. The Focus's hood is much trimmer and I don't believe it is designed primarily to accommodate a helmet, but, it could if needed. There are two adjustments on the hood, the elastic cord for the face and one for the upper part of the head which is accessible from the back part of the hood. Both adjustments do their jobs as designed, no complaints. The Focus has no pit zips, no pockets (other than the single, Napoleon, zippered, chest pocket), and no drawcord at the bottom. What it does have is a partial, elastic bottom band, with a sticky coating, which extends around your backside, from hip bone to hip bone. The cut in the back is slightly longer than the front. 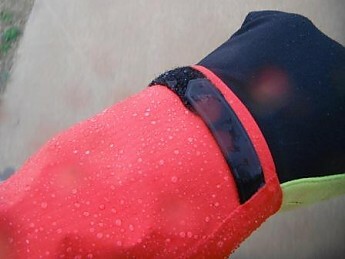 What this sticky band does is holds the back of the jacket down and effectively seals the bottom portion from the elements without using a drawcord/cordlock combo. This undoubtedly saves some weight and it does work well. With regards to the chest pocket; there is no garage for the zipper. I thought this might be an issue in which water could intrude during downpours, but, the zipper seemed to seal quite well. The wrists are sealed with velcro tabs. The zippers function smoothly and easily. 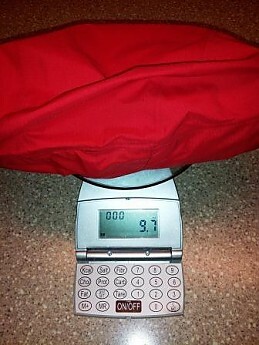 I compared the Focus to my other, previously mentioned shell (see link above) in terms of weight and the way it packs. I use the hood packing method in order to protect the DWR finish on my shells. You basically roll up the jacket into its hood. It works quite well actually. 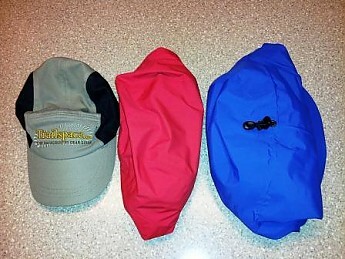 In this photo you see the Focus in the middle compared to the Trailspace hat and my other shell which uses a combination of Paclite Goretex and Goretex Pro shell. Both jackets are loosely rolled into their hoods. You can see the profile of the Focus is much smaller than my other jacket. I could have squished the Focus even more. 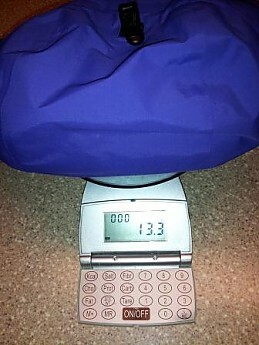 This is my other shell's weight in ounces (13.3 oz). Not bad! This is the Focus' weight in ounces (9.7 oz). Even better! Like I mentioned earlier, I wore the Focus every day no matter what I was doing. But, I am going to concentrate on the activities a person would encounter while pursuing their favorite outdoor activity. The ones I briefly touch on are walking on the bike path, biking, trail running, and hiking in the mountains. After receiving the Focus, the next morning I went to a nearby hike/bike trail. It was sunny, the temperature was in the mid twenties, light winds and low humidity. I did not wear a pack. 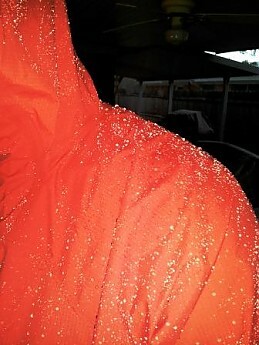 I was wearing 1/4 zip, synthetic, longsleeve baselayer shirt, nylon hiking pants, merino wool socks, light hikers and some lightweight running gloves. On top of the baselayer shirt, I was wearing a lightweight 1/4 zip fleece shirt. I walked at a brisk pace (3.7mph according to smartphone) for 4 miles. I was very comfortable with this setup until the very last mile when the temp warmed up a bit and the sun was at my back. The temp rose to about 34 F and I started to feel a little warmer, not sweating, just warmer. I unzipped the jacket halfway and this solved the issue. I took it out on a bike ride on the paved bike trail. I did not take the Focus mountain biking because I tend to brush against trees and such from time to time. Also there is the chance of taking a fall and landing hard. I didn't feel it was necessary to subject the Focus to this kind of abuse as I have other riding jackets that are designed for it. The conditions were sunny, in the 50's F, light wind and low humidity. I rode for about 12 miles and I liked the way the jacket stayed put around my backside due to the sticky elastic. It did a great job of sealing out the wind and I had started out with it zipped all the way up. Towards the end of the ride, I unzipped it a little to let some air flow through. I never once felt like it was too hot in the shell. I wore a longsleeve synthetic shirt and mountain biking shorts. I did not wear an insulating layer. I went on a trail run one morning. Temperature was 55°F, wind was from the south at about 15mph and the humidity was high, about 80%. I wore a SS synthetic shirt and nylon shorts. I guess it was about 3 miles total. The jacket was great initially, but, towards the end, as I figured, I was sweating. I think this is normal for the hard shell jackets. 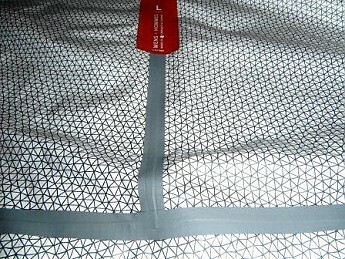 They can only move water vapor at a pace determined by the fabric. That's normal. I could have really just run this morning wearing a longsleeve shirt only, but, I wanted to see how the Focus would do. I was getting quite warm in the jacket. I unzipped it some to let some air in and it helped. When I stopped, I completely removed the jacket for a few minutes. The one thing I did notice is, the inner part of the jacket didn't feel wet when I touched it, despite the fact that I was sweating. I went to New Mexico a few weeks ago and while I was there I was hoping for some precipitation to test the Focus, however, it stayed dry for the four days I was there. I took the Focus with me on a hike which would terminate at the highest point in the Lincoln National Forest, White Mountain Wilderness area. This would be Nogal Peak at an elevation of 9950 ft. It was cloudy all day and the wind was out of the north about 15 to 20 mph. The temp that morning was 24°F and when I finished it was 47°F. The humidity didn't make a difference. There were snow patches in spots, but nothing that required snowshoes or crampons. I covered 12 miles total that day and the elevation gain over the first half of the hike was 2250 ft. I wore the Focus, a longsleeve baselayer shirt, standard nylon hiking pants, wool socks and hiking boots. 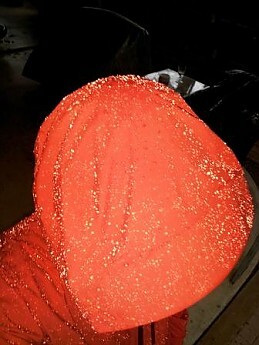 I was using my CCW Chernobyl backpack and carrying 2 liters of water, an esbit stove, some food, some survival gear, gloves, extra socks and a puffy insulating layer. It was probably about a 22 lb pack weight. During the climbing portion the only place which became wet from sweat was my back. The CCW is not a ventilated pack. The entire pack rests against the wearer's back so there is no air movement. I took a break at about mile 4 in a sheltered area and heated some chicken broth. I did put on the puffy jacket and the Focus over it. I felt very warm and comfortable. My back was a little wet but that expected with exertion. Not a fault of the jacket. I actually packed the jacket away during mile 4 to mile 5 and put it back on for the last mile which ascends the peak on an exposed ridge. 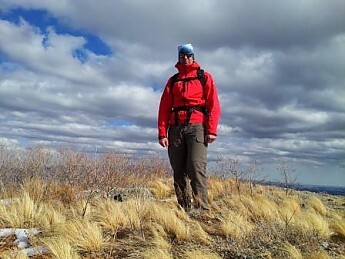 The wind was whipping across the ridge but the jacket was all that was needed to tame it. Once I reached the summit, I did the same as before, putting on the puffy and then the shell over it. I stayed up there for about 45 minutes, ate lunch and started the hike back to my vehicle. I actually found a geocache up there as well. The jacket fit well under the pack straps and waistbelt and did not ride up. On top of Nogal Peak. Note the Focus's length. After returning from New Mexico, I still had not been able to test it in wet weather but thunderstorms were in the forecast. It did start raining at my house one morning so I broke out the Focus and went into the backyard for about 30 minutes of playing in the rain. The jacket, of course, performed as designed. 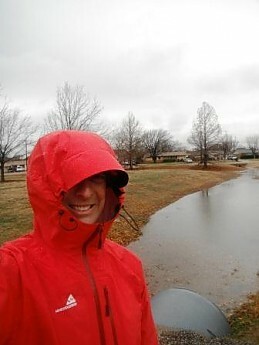 I was able to test it out one more time before my deadline for this review and I took it out for a 5-mile walk on a paved bike path during the rain/ice pellet storm. 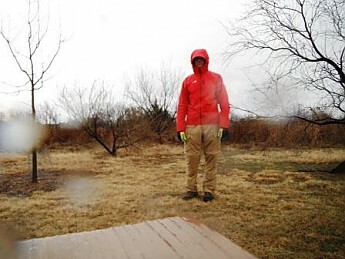 It was cold, 37°F, windy, 20 to 30 mph with higher gusts and of course precipitation was falling. I forego wearing rain paints but wished I had afterwards. I cinched the hood up good and snug and it did a fine job of keeping out the wind driven rain. I only wore a longsleeve merino wool shirt under the jacket, no other insulating layer. I was a little chilly at the start but over time, I warmed up and never felt too warm. The jacket did great at keeping my upper body dry. Also, I noticed the DWR had not been affected where it had come in contact with my shoulder straps and waistbelt during the Nogal Peak hike. The water was still beading just fine. Also, I didn't have any issues with water leaking into the zippered chest pocket due to the zipper not having a garage. 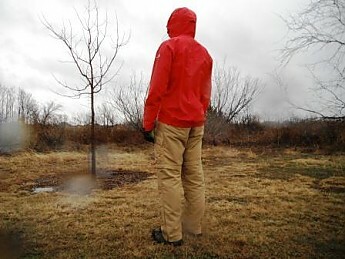 Overall, I am very impressed with the Westcomb Focus LT Hoody with eVent DVL waterproof membrane. This will be the go-to jacket for most of my travels, whether it's to the wilderness, walking/biking the paved trails, hopping around town or even taking it when I travel because it packs down so well. Based on the cost of this shell and its fast and light design, I would not want to expose it to any type of extended bushwhacking adventure unless it's going to be in the pack during the bushwhacking. That is not the intent of this shell. So the wearer should exercise some caution when encountering such conditions. 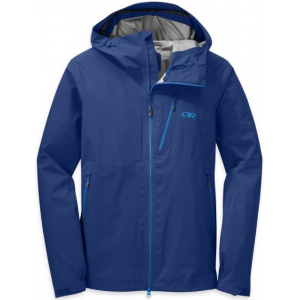 The Focus offers excellent features and weather protection to the wearer, all in a scant, 9.7 ounce package. I couldn't think of any reason not to carry this along in your pack, even in the dead of summer. Westcomb's products carry a Limited Lifetime Warranty. Details are posted in the customer service link on the website and the warranty card that is included with your Westcomb product at the time of purchase. Excellent, thanks Rob! This Canadian company has a strong and growing reputation with Canadians, but reviews are hard to come by. Good work on giving a sense of the details. I wondered about that cordless hem. Thanks for a great review! 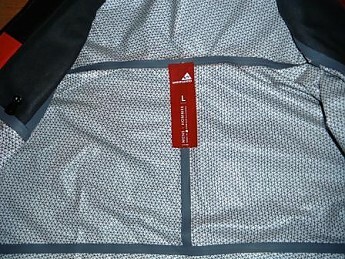 I have a question for you, Rob: Do you think the sticky back stripe, or any other features of the jacket, would make it uncomfortable for next-to-skin use?...I've been known to wear just a rain jacket on my upper body at times, and wonder if the stickiness of it might "catch" bare skin? I will explore pillowthread's question further. Thanks for testing and reviewing the Westcomb Focus, Rob. I know others will be interested in reading about your firsthand experience with the new eVent DVL membrane too. Great review Rob. I'd be interested to see how the event DVL compares to the new polartec Neoshell. In re to Neoshell: I believe these materials are of two different types of construction? 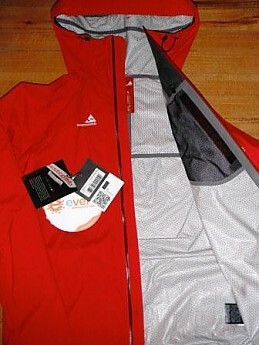 I'm not too familiar with it but is the Neoshell a type of stretch material made by Polartec? The Focus falls more along the lines of a typical hardshell with no stretch or softness to the material. To me the Focus is a competitor to Goretex Pro (not exact but in similarities). Anyone with Neoshell feel free to chime in. Rob, thanks for the review, it's well written and informative. I've been keeping my eye out for super light breathable yet waterproof jackets. It's a little disappointing you didn't run into more rain during the test, but you can't help that :). This jacket seems pricey for a hip-length jacket, but it sounds like you really liked it. I'm still curious how it fares under trail conditions hiking with a loaded pack in the rain. The lightness of the jacket is quite remarkable. I recently got a lighter, though cheapish, WPB jacket and pant set for pocket change that I think I will use for much of my three season use. 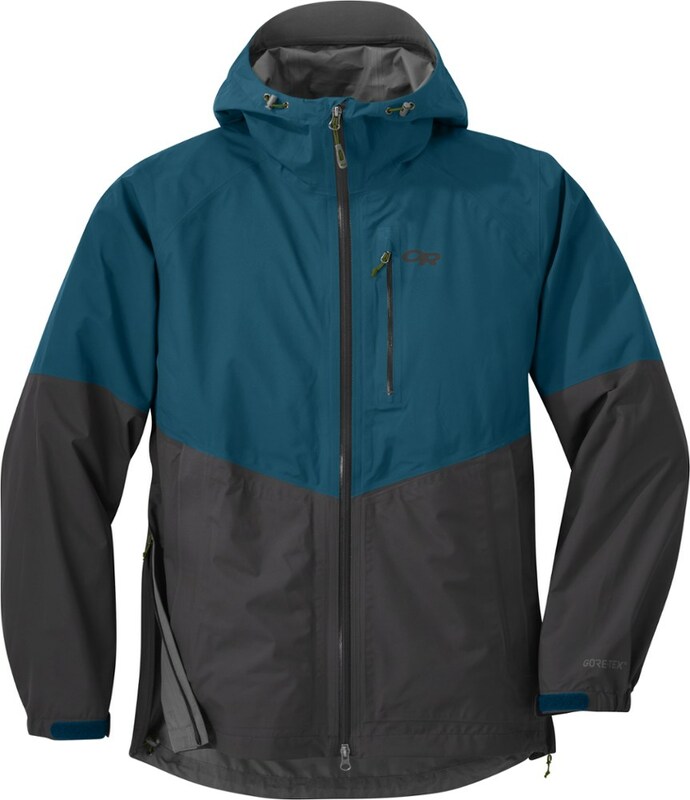 I had always carried my GTX Mountain Lite jacket, but it weighs in at about a pound.But considering how infrequently I actually need the robust protection it provides, I think something lighter will be my "go to" unless it's winter or I expect severe weather. I just pulled the trigger on one of these. I had to get Imperial Blue since I didn't want a bright red or orange, and the black model was out of stock in my size. If the online photo is an accurate representation then the blue will be fine. The Campsaver sale price looks good, plus if you're a new subscriber to their newsletter you get 15% off (even off the sale price). So I got it for $90 off MSRP. My decision to buy was heavily influenced by Rob's review. Plus I emailed Westcomb asking a warranty question and got an informative response 17 minutes later. That clinched the deal for me. So I tried putting the jacket on by itself meaning I went shirtless under the jacket. I could not wear it like this for very long. The lining is plastic like and it didn't feel right next to my skin. It might be different if the material had a cloth like backer. I have wore it with a short sleeved shirt and that's fine, but, I couldn't use this shirtless. Yeah, supplies seem to be limited. But another factor I noticed in reviewing the warranty terms is that if you purchase it directly from Westcomb, they deal directly with warranty claims. If you buy it from a retailer, you need to deal with them for claims. I'd have preferred the direct option but for the big price difference. 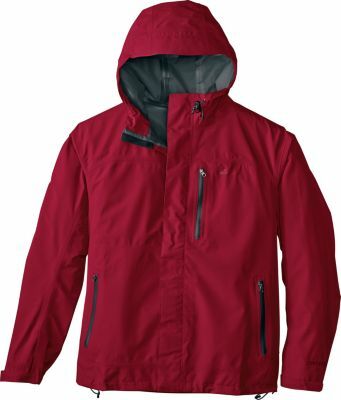 I am seeing $280 at Westcomb(msrp) so in order to get the jacket I want I guess I will be going this route. I never looked the warranty info lol. What is the warranty on this shell? I am thinking lifetime(which seems to be an industry standard to some extent but I am not quite sure and too lazy to look. Westcomb Outerwear proudly stands behind each and every product we make. We guarantee all of our products against manufacturing defects in materials or workmanship for the practical life of the product. Defective products will be repaired or replaced, at no charge, at Westcomb's discretion. Our product warranty is extended to the original consumer and valid only with original proof of purchase. This warranty does not cover damages caused by improper care, modifications or alterations, product misuse, accidents, rips and tears, or the natural fading of color or breakdown of materials over extended use and time. Any damage not covered under warranty may be repaired for a reasonable rate with the owner's authorization. This warranty is non-transferable and does not cover products purchased from unauthorized dealers, online auctions, or second-hand purchases. All shipping to Warranty must be pre-paid and insurance is highly recommended. Westcomb cannot be responsible or liable for lost or damaged in-bound shipments. Customers are responsible for their product until we sign for its delivery. For hygiene and health reasons, we require products accepted for Warranty or Repair to be clean. A charge of US$25.00 will be assessed if cleaning is necessary. This is an important set of details too (seems unusual to me too). If you purchase the item from a retailer you need to go thru them for warranty service, not directly thru Westcomb. I'm not crazy about this approach but took the risk anyway due to the sale price thru the retailer. For faster service, we recommend that you return your product to the store that you originally purchased the item from. 1. For purchases from authorized Westcomb retail dealers - All defective and damaged products should be washed and returned, with proof of purchase, to the original retail dealer for pre-evaluation. Legitimate claims will be repaired or replaced at the discretion of Westcomb Outerwear. Submitted products that are dirty and unhygienic will be cleaned for a charge of US$25.00. 4) Description of the problem. If possible send photos. After initial review, Westcomb will contact you. Please do not mail in claims without an RA code. Any warranty claims sent without an RA code visibly marked on package with be refused at the door, and any expenses incurred will be the responsibility of the sender. I really like this jacket, don't get me wrong, and it works well most of the time. That said I wore it last fall in a light snow as a top layer and even though I did not feel excessively warm when I stopped to pull off a layer I found the jacket as wet on the inside as it was on the outside. Once it got wet inside it was game over. 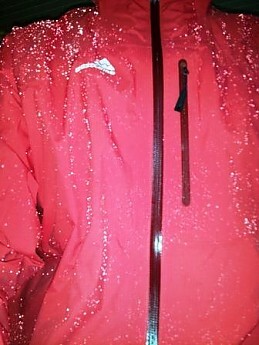 Today I was hiking in a light mist, temps in the mid thirties and again the jacket was wet on the inside, actually soaking while the the DWR seemed to be doing its job quite well with water beading up on the outside. 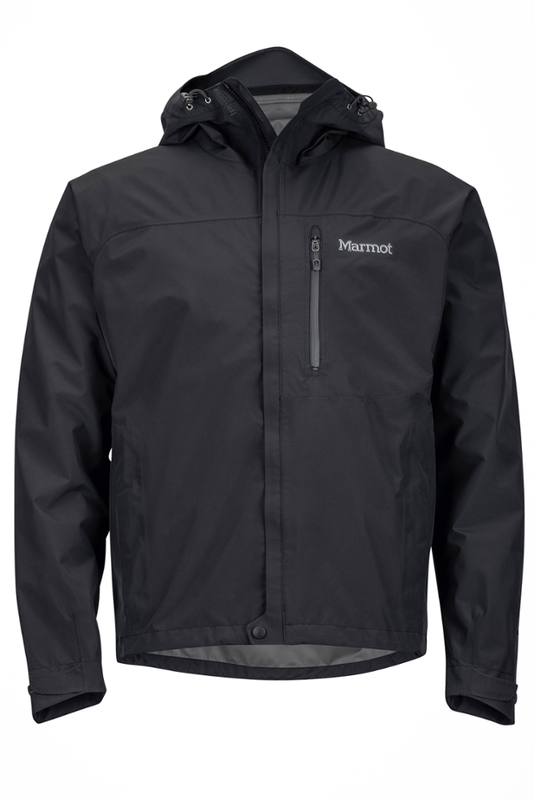 I guess the bottom line is this — this jacket works great when you don't need it to be waterproof and breathable. When you attempt to use it to stay dry in rain, mist, or snow it gets very wet, very fast on the inside. It's actually no better or no worse than any other waterproof "breathable" material. 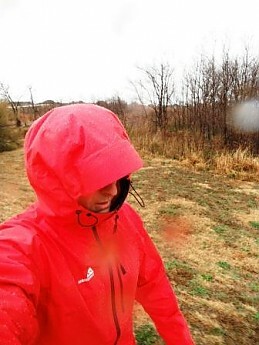 On the plus side it IS very light, it fits well, looks great, and it's an awesome wind blocker, and it is probably waterproof — it just does not breathe and the lack of vents makes it very difficult to keep dry from the inside. 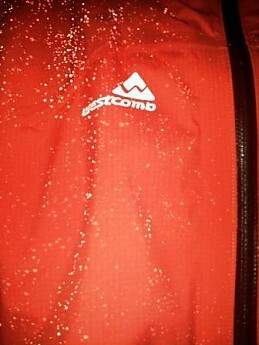 The Westcomb Focus LT Hoody is not available from the stores we monitor. It was last seen August 20, 2018	at Moosejaw.